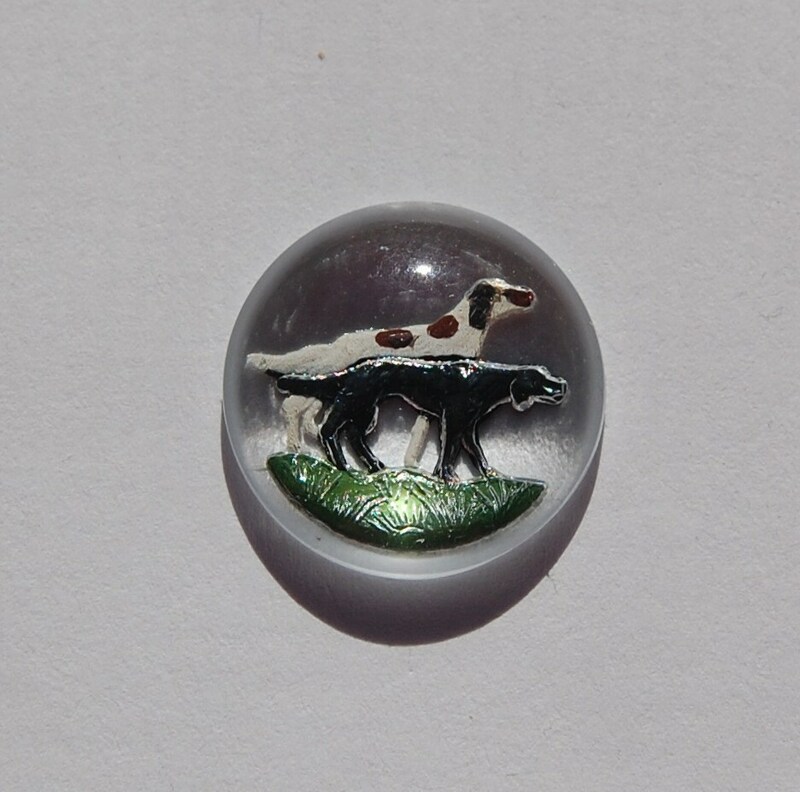 These are glass Czech intaglio cabs. These intaglios feature 2 dogs, I am not sure if they are labs, springers, pointers?? The cab is round and is domed. These measure 18mm. You will receive 2 pieces. Really cool stuff, hard to make up my mind! Great shop with unusual items. Thanks. Beautiful cabs! Nice detailed imaging & shipped fast. Thanks!